Am I the only one who is intimidated to make donuts from scratch at home? Not the cake like donuts, but the real deep fried yeast donuts. One day I will get that done, but in the meantime, I will stick with my best friend, Pillsbury, to make donuts. That’s right. Pillsbury Grands Biscuits make for some pretty awesome donuts. These Cinnamon Sugar Donut Fries are the update to my other good friend, Maple Bacon Donut Fries. 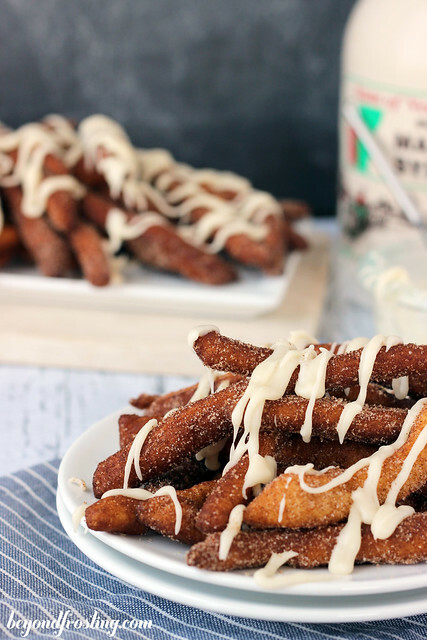 The donuts are deep fried in oil, coated in cinnamon sugar and drenched with a maple glaze. Let me tell you that eating donuts in the shape of French fries is so much more fun, and a little less guilty too. 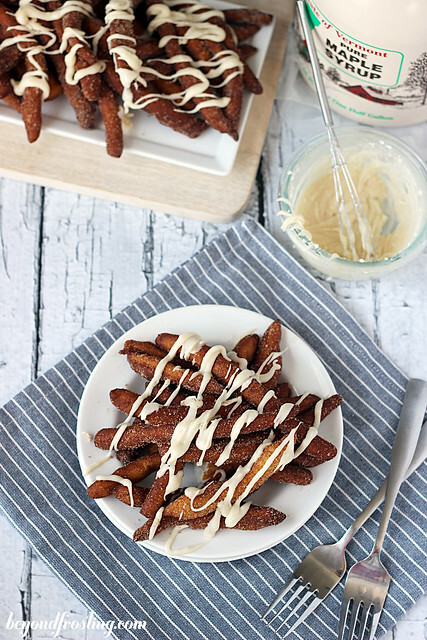 Making these donut fries is very simple! You can heat oil on the stove top using a candy thermometer, they are inexpensive but crucial for proper deep frying. Roll out each biscuit until flattened and cut into stripes with a pizza cutter. You drop each fry into the oil and cook for about 30 seconds on each side until light brown. I suggest to allow these to cool and drip off any excess oil before tossing in the cinnamon sugar mixture. 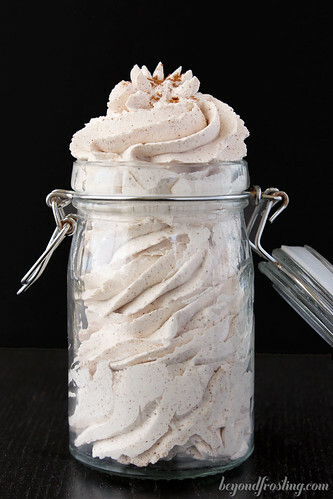 I use two parts sugar to one part cinnamon. 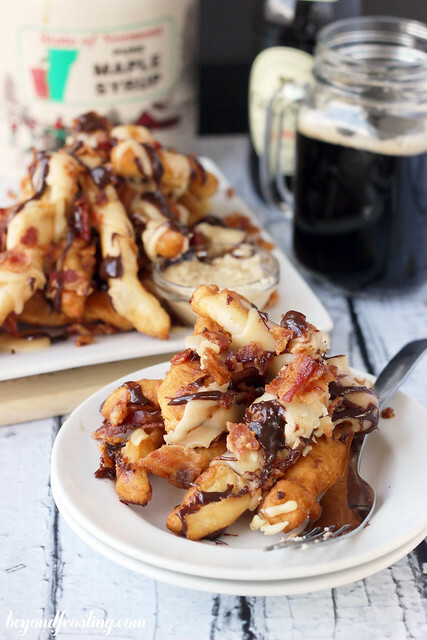 The fries are covered with a brown butter maple glaze. I just couldn’t resist adding a bit of my favorite fall flavor, maple syrup! 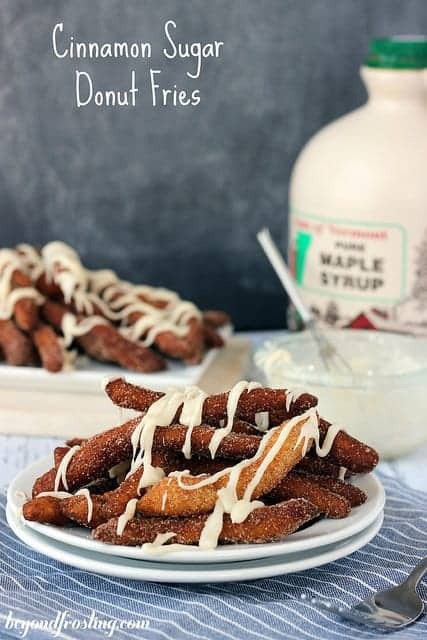 Of course, you can use a standard vanilla glaze if desired, but the maple is a perfect compliment to the cinnamon sugar fries. 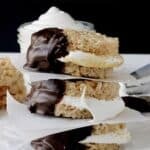 Try serving these for breakfast or a late night snack! 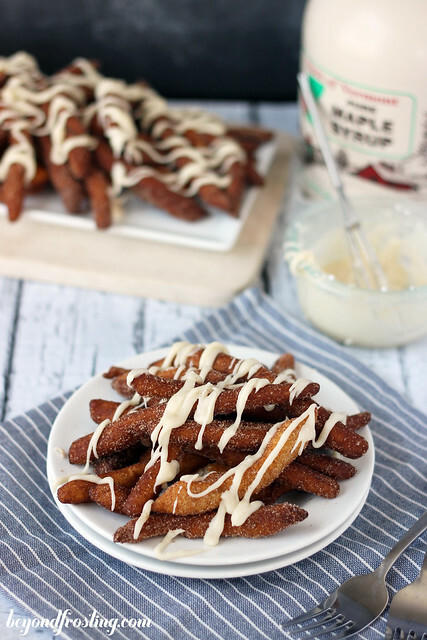 Cinnamon Sugar coated donuts with a maple glaze. Remove biscuits from container and roll out flat, lengthwise. With your hands, roll each cutting into a long string with a pizza cutter. Cut in half if necessary. Fry for about 20-30 second a side until golden brown. Remove with a pair of tongs and set on a paper towel lined plate to drain the excess oil. When finished deep frying, leave your candy thermometer in the oil until it is completely cooled. Combine cinnamon and sugar in a Ziploc bag. 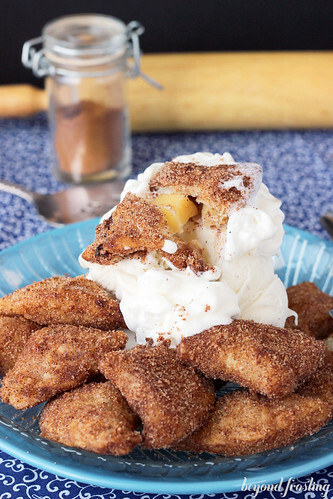 Throw fried donuts in the Ziploc bag, seal it and gently toss to coat the fries in the cinnamon sugar mixture. I made my own biscuit batter. Other than that. They taste really good. HAHA! I would totally share these fries with you! If you take those same buttermilk biscuits and poke a hole in the center then stretch them out, they are the perfect donut shape! We make them all the time. Same here! I love it! 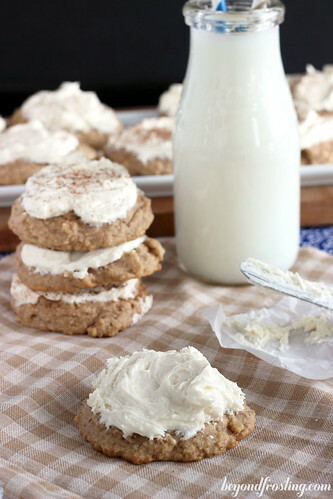 I have been using refrigerated biscuit dough for over 40 years (tells how old I am!) to make doughnuts. I made them frequently when my children were at home. I would use a small bottle to cut out the hole then fry them to make doughnut holes. My girls liked powdered sugar more than cinnamon sugar so I would have two paper bags with the different sugars in them. I would let them help shake the bags so they would feel like they were helping. It was a fun thing to do. Yes! I have done that! I love using the biscuits, it makes homemade donuts so much easier! 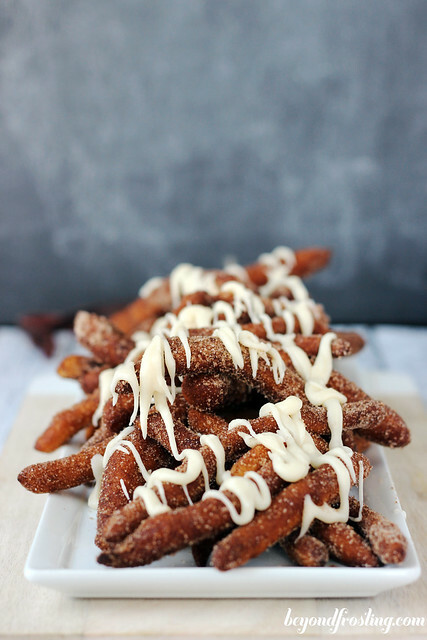 These doughnut fries are incredible! What an awesome idea!